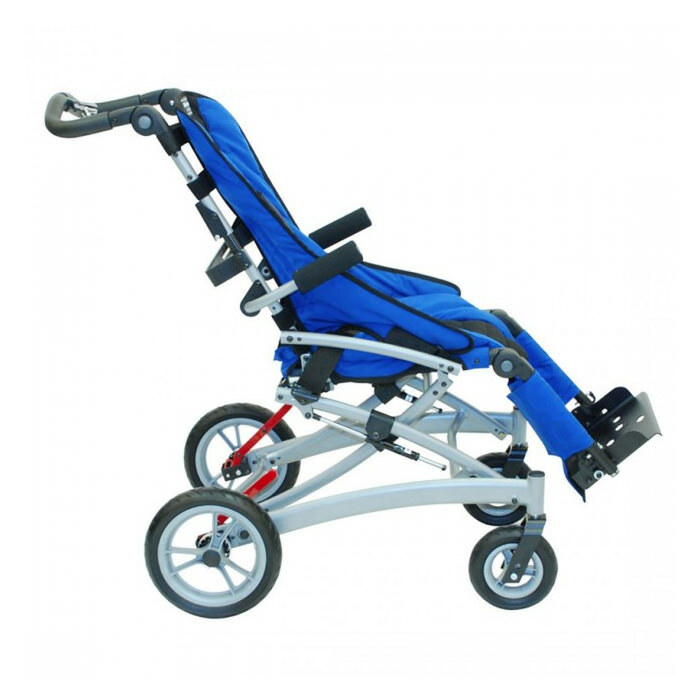 Convaid rodeo tilt-in space wheelchair is a folding, lightweight and compact wheelchair, perfect for travel. 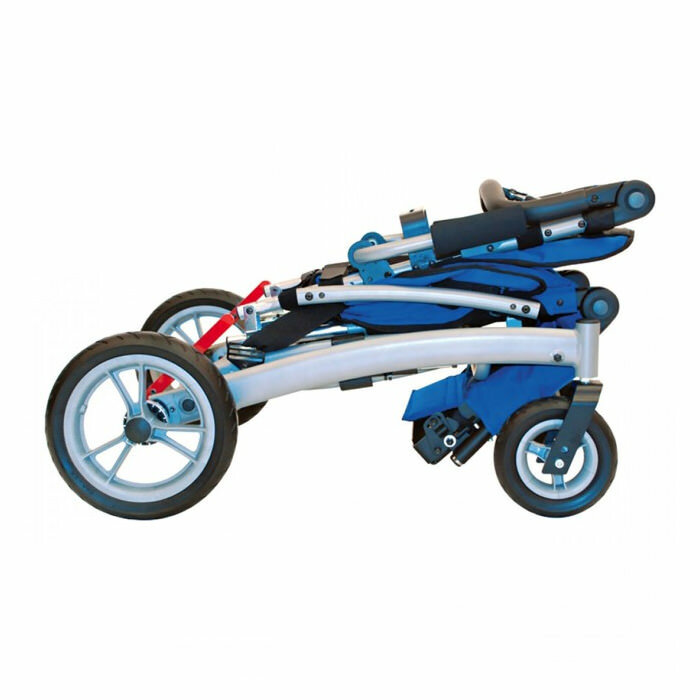 Rodeo’s easy one step folding design transforms the special needs stroller to a smaller size for quick and easy transport and storage. 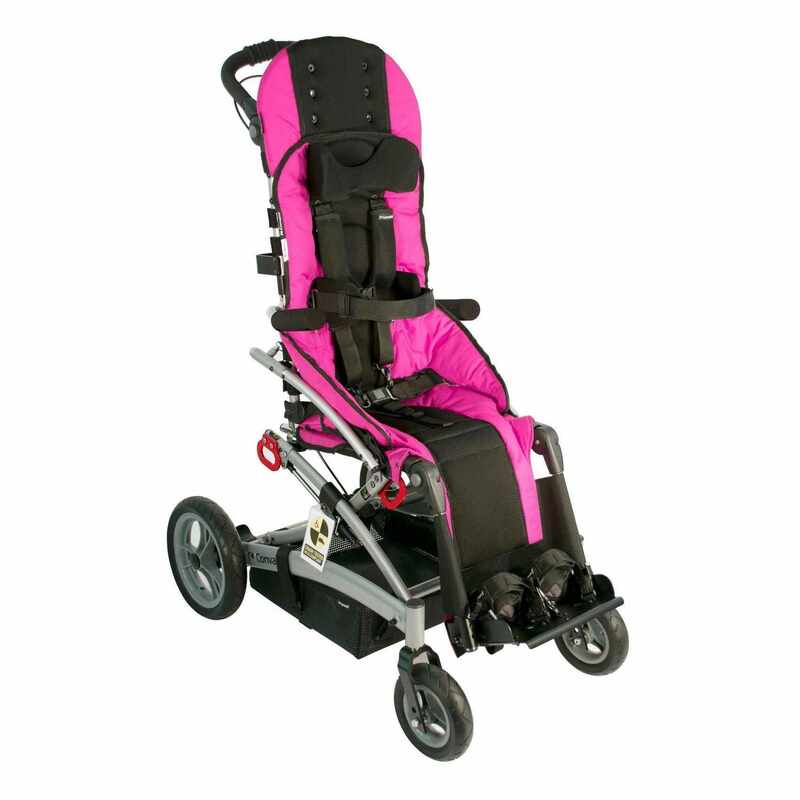 Rodeo has an adjustable seat depth that grows with the child. 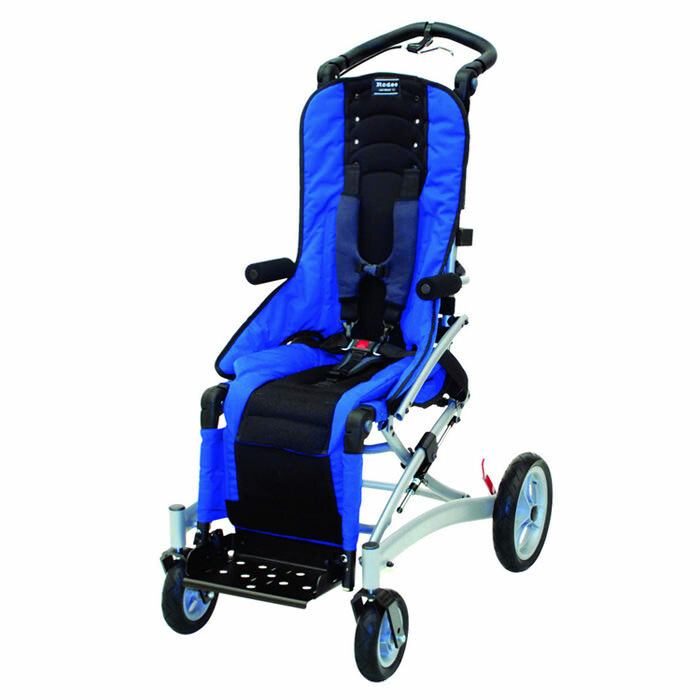 This tilt-in space wheelchair has 90° - 110° of recline adjustment that provides pressure relief and upper body support. The 10" seat width ensures custom positioning even for the smallest kids. Solid seat cushion provides pressure relief, stability and postural control. 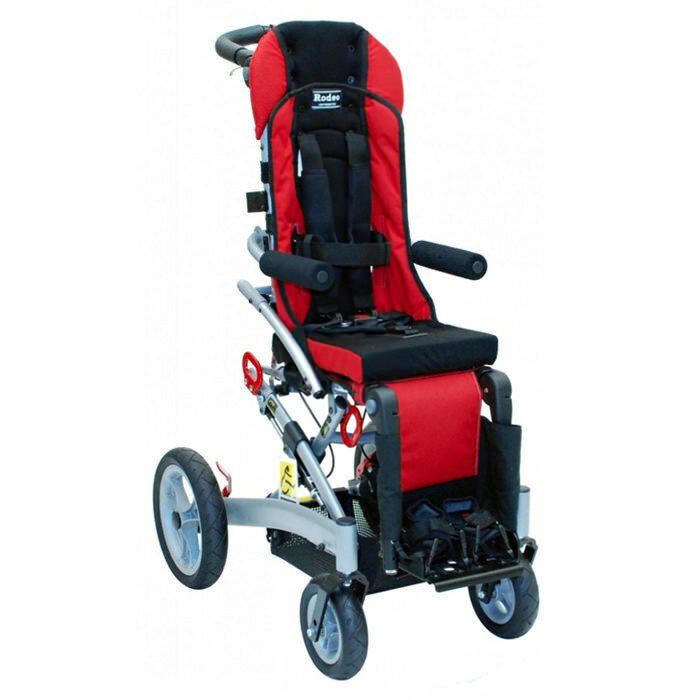 Convaid rodeo comes with an additional safety feature that will visually show when the chair is fully locked. 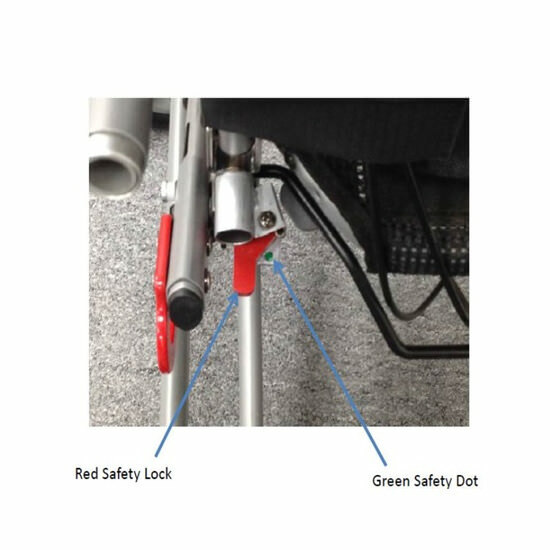 The green dot will be completely visible when the chair is securely locked. Seat Width* 10" 12" 14" 16"
Seat Depth* 7" - 12" 9" - 14" 11" - 16" 13" - 18"
Seat Back Height 21" 22" 24" 25"
Seat to Footplate* 9" -14" 9" -14" 11" - 16" 12" - 18"
Seat to Floor 20" 21" 22" 22"
Overall Height 43" 43" 44" 45"
Overall Length 30.5" 35" 35" 36"
Overall Width 21" 23" 25" 27"
Folded Length 33.5" 34" 34" 40"
Folded Width 21" 23" 25" 27"
Folded Height 17.5" 17" 18" 18"
Shoulder Strap Height 13" - 19" 15" - 21" 16" - 22" 18" - 24"
Weight Capacity (Regular/Transit) 75 / 66 lbs. 75 / 66 lbs. 100 / 100 lbs. 170 / 140 lbs.